Chennai: Noting that Non-Communicable Diseases (NCDs) account for about 60 percent of total deaths in the country, Prime Minister Narendra Modi said the action was needed from all sections of society, including NGOs and private sector to prevent, control and manage diseases like cancer. Addressing a function at Adyar Cancer Institute in the city, he said changing lifestyles were adding to the burden of NCDs. 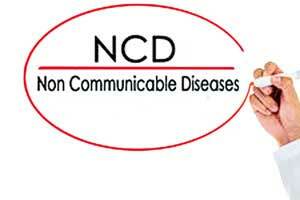 ‘According to some estimates, NCDs now account for about 60 percent of total deaths in our country’, he added. Stating that the Centre has planned to set up 20 State Cancer Institutes and 50 Tertiary Care Cancer Centres in different parts of the country, Mr Modi said proposals could be approved, for eligible institutions, up to Rs 45 crore for setting up of Tertiary Care Cancer Centre and up to Rs 120 crore for setting up of State Cancer Institute. He said proposals for setting up of 15 State Cancer Institutes and 20 Tertiary Care Cancer Centres have been approved so far. He said 14 new All India Institutes of Medical Sciences were being set up, with focus on oncology in its various aspects. Some times I wonder what makes the Cancer the subject of interest for everyone including the Netas? Compared to other disease listed under non-communicable diseases (type-2 diabetes, obesity, hypertension, heart disease and stroke), cancer becomes a small subset of NCDs. China has more than 100 million diabetics and India 70 million or more. Yet, when Neta\’s talk about prevention of NCDs they come up with Cancer as a target and not think about preventable disease like metabolic diseases. Gundu Rao, Emeritus Professor, University of Minnesota.